Terrell Daily Photo: Got a part for me? Last week as we were driving through Dallas we noticed a lot of commotion on a side street. We swung around and I got the camera out, not knowing what was going on. 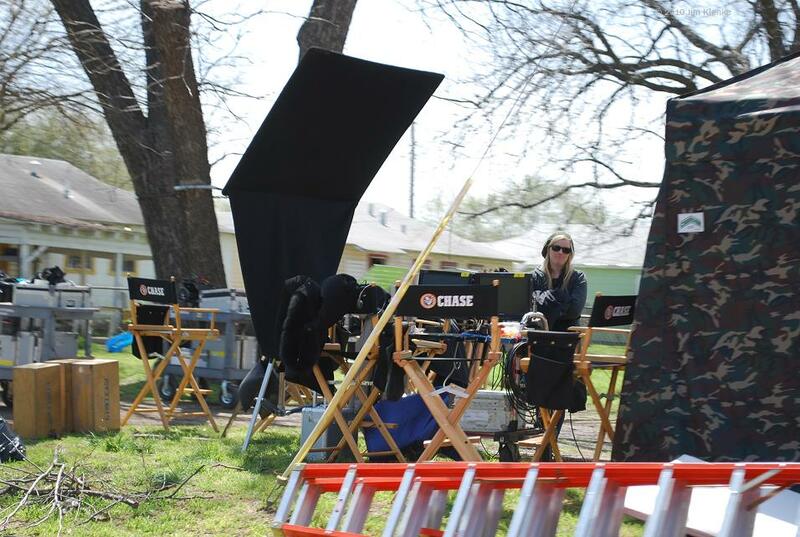 I was able to find online that they are shooting a Jerry Bruckheimer TV pilot called Chase. I should have jumped out and given them my best "to beeeee or not to beeeee" in Mel Brooks fashion. I think I could have gotten a part. Don't forget to become of a fan of Terrell Daily Photo on Facebook. Last week NETFAA hosted a Paint Out in Terrell. I am not sure of the results, but below is one blog that shows one artists work. There's some very nice work on her site.